General Motors' corporate headquarters is an iconic skyscraper with a disorienting brutalist interior that's just a few blocks from where we live. Although thousands of people work there, the public areas feel kind of like a ghost mall with all the empty storefronts. But on the ground floor there's this round area where the top new GM models are displayed and you are allowed to climb inside some of them and look under the hoods of others. 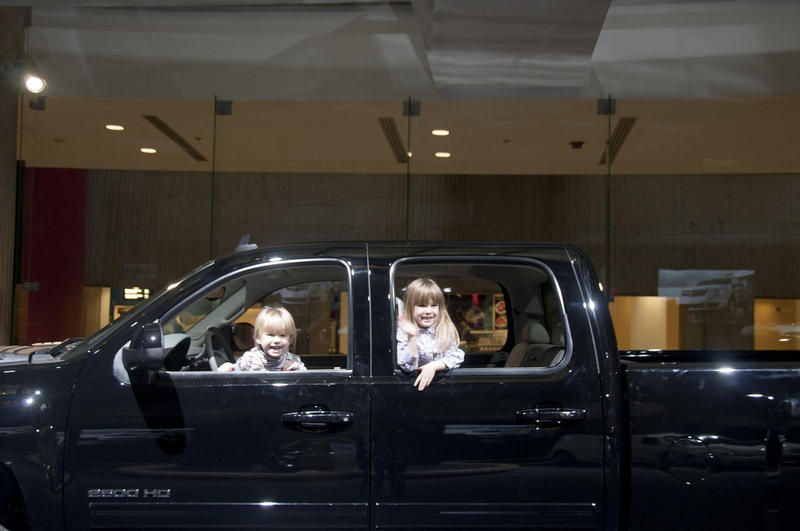 I have seen families down there doing posed photo shoots inside Cadillac Escalades. In the winter, we always make a few trips here because (1) it's one of the few places in Detroit where you can see Santa mall-style; and (2) it's a great place to burn off energy when it's too cold to play outside. And trust me, this is the closest my kids are going to get to a 4-door Chevrolet Silverado 2500HD until they are old enough to buy one for themselves. The boy instantly remembers this as "the place I was Robocop" (some of my favorite shots were the ones we did just a few steps away from the new cars against the concrete backdrops). 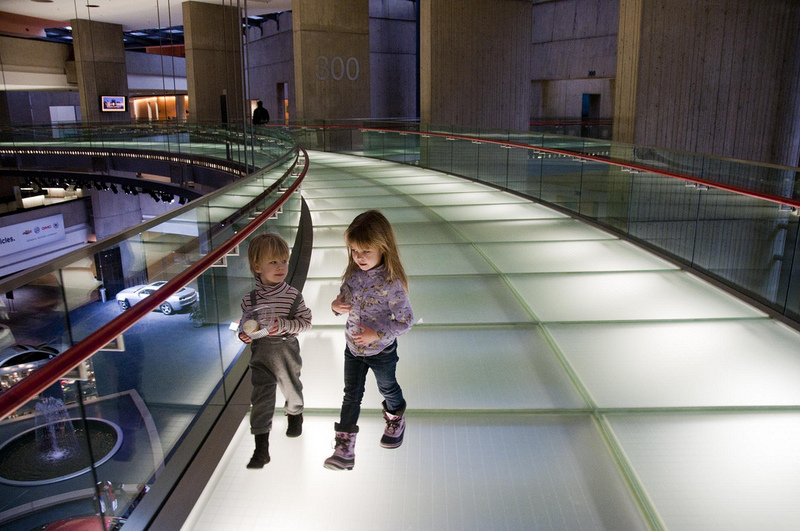 Like the tunnels under New Center, it's a great place for kids to explore. The beautifully-lit elevated walkways are all a circle, so we can burn off a lot of energy in there without really going anywhere. 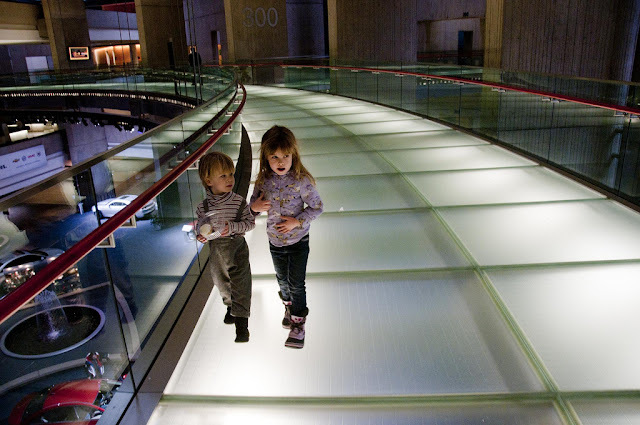 But if they do get sick of it, we can always ride the escalators or take the People Mover for a loop or two.